We provide easy online access to all the top providers and carriers in the country. Our online tool will make it easy to shop & compare top rated Medicare Supplement Plans companies, so you can get the plan you deserve. All plans are by letter, for example Plan F, Plan M or Plan N….. Just so you know the government has mandated that a Plan of any letter is the same basic benefits, no matter what carrier! So based on that assumption, we will display the plans by the least expensive to the most expensive, since the base Medicare Supplement Plans benefits are the same. If you are an American citizen or legal resident who has lived in the United States for at least five years, you will qualify for Medicare upon reaching the age of 65. Medicare is a federal health insurance program that provides both hospital and medical insurance. However, there is a major problem with Medicare insurance. The problem with Medicare is that it only covers around 80% of the cost of all approved services and procedures. This leaves Medicare recipients responsible for approximately 20% of the cost of their healthcare. So, to make healthcare more affordable, many seniors choose to enroll with a Medicare Supplemental insurance policy. Why? Because by enrolling with a Medicare Supplemental Insurance Plan, also known as a Medigap Plan, you will be 100% covered. This means that 100% of your approved medical procedures and services will be covered by your insurance. What Does Medicare Costs Plans? The cost of Medigap varies widely. Unlike Medicare, Medigap is supplied by private insurance companies. There are currently 10 different Medicare supplement plans: A, B, C, D, F, G, K L, M and N. These plans cover Medicare co payments, deductibles and additional services not covered by Medicare. The cost of a Medicare supplement plan depends on the amount of coverage the plan provides. For example, Plan F, which provides the most thorough coverage, carries higher premiums than less thorough plans while plans like Plan L covers lower premiums. Your monthly premiums will count on several different factors, including your age, location, provider and specific policy. Your marital status, gender and whether you smoke will also affect the price of your policy. It is also crucial to realize that different companies set premiums different ways. Policies may be community rated, issue age related and attained age related. In some areas, companies might be required to price policies a certain way. In others, companies may set premiums based on the method of their choosing. This is why it Is important to find a Medicare Supplement Carrier that offers Medicare supplemental insurance in your specific area. For more information on your choice of Medicare Supplement plans, contact us toll free at 1-877-531-5664 or 1-801-562-4199. Why is being 100% covered important? Because, you are aging. This means that your body is aging. As our bodies age, we become more vulnerable to illnesses and surgeries. Therefore, the older you get, the more you will be seeing your doctors and hospitals. When we were all in our younger years, most of us did not see our doctors often. But now, upon turning 65, most of us are seeing our doctors and taking more medications now more than ever! If you were not enrolled with a Medicare Supplement, Medigap, Plan and needed surgery, you would be responsible to pay 20% out of pocket. Surgeries are very expensive so 20% is a low number until you receive a 8,000 dollar bill. Because you are aging, you have to realize that you may need surgeries like: hip replacement surgery or even knee replacement surgery in the future. Protect yourself by enrolling with a Medicare Supplement Plan. This way, you will be 100% covered and protected from paying outrageous hospital bills! Best Rates Medicare Supplement Insurance Plans! Once you decided that you do in fact want to enroll with a Medicare Supplement plan and be 100% covered, you have to shop around. Why must you shop around? Well, many insurance carriers offer the EXACT same plan, but for different medicare rates. So, if you are looking to enroll in a Medicare Supplement plan, you have to shop around to find free Medicare quotes and Medicare Rates. Eventually, you will find the best plan for you for the best price. If you are looking around on your own, research on the internet. There is so much technology available and you can use it! Research different plans and providers. You may even want to call a few different providers as well. But, remember to write down the different Medicare Quotes and Medicare rates you get so that you are able to compare and contrast later. If you not internet savvy, talk to a few of your friends or even family members. Maybe they can give some input on their Medicare Supplement insurance company as well. Or if you find an insurance company online, but prefer to speak with someone over the phone, you can do that also. Most insurance companies have agents available to talk to you. One agent should be able to walk you through the various plans that they offer so you can find the best plan for you. Here at 1-877-531-5664, we pride ourselves on our customer service skills. Our number goal is to be there for our clients and provide them with the information necessary that will save our clients and friends time, energy, and most importantly money. If you need help or if you have a few questions regarding Medicare Supplemental Insurance, feel free to give us a call at 1-877-531-5664. We have many professional agents available 7 days a week! What are the different parts of Medicare Supplement Insurance? In addition to these 4 parts, there are also Medicare Supplement Plans F-N. If you are not sure what plan is best for you, it important that you take time a shop around to get different Medicare Rates. With these rates, you are able to find out the Medicare cost plans. So start shopping around today for free Medicare quotes! How do you enroll in Original Medicare Supplement Insurance? Usually, people who are over age 65 or turning 65 and getting Social Security automatically qualify for Medicare Plan A and Plan B. Medicare Plan A and Plan B are often referred to original or traditional Medicare. Original Medicare has many different names: Original Medicare, Basic Medicare, Traditional Medicare, Core Plan, or even 1 plan. People who have been getting disability benefits for at least two years also automatically qualify for original Medicare. Also, people who have amyotrophic lateral sclerosis (Lou Gehrig’s disease) and receive disability benefits, and people who have permanent kidney failure and receive maintenance dialysis or a kidney transplant all qualify as well. Original Medicare covers many health care services and supplies, but there are many costs it doesn’t cover. There are some health care benefits that are not covered by Original Medicare. This includes hospital stays over a certain period in length and help with activities of daily living such as eating, bathing or dressing. Prescription drugs are also not covered under Original Medicare. Some of these benefits can be added by buying a Medicare prescription drug plan (Part D) or a Medicare Supplement Insurance plan, available through private insurance companies. If you are looking for additional coverage, you may want to look into a Medigap policy. A Medigap policy is health insurance sold by private insurance companies to fill gaps in Original Medicare coverage. Medigap policies help pay your share (coinsurance, co payments, or deductibles) of the costs of Medicare-covered services. Some Medigap policies cover certain costs not covered by Original Medicare. Usually people have two main Medicare Supplemental Insurance choices. You first need to decide if you want original medicare or a Medicare Advantage plan. If you decide that you would like to enroll with original Medicare, you then must decide if you want a prescription drug (part d) plan. You will usually have to pay a monthly premium. Once you decide if you want a prescription drug plan you need to decide if you want Medicare Supplemental insurance coverage. This will cover the gaps you have in original Medicare. If you chose to get a Medicare advantage plan (Part C Plan) over a original Medicare, your next step is to decide if you have a prescription drug plan (part D). Regardless of what you choose, it is important to know all of your options! What is Plan A Medicare insurance? Plan A is paid for by a portion of Social Security tax. Medicare insurance Plan A helps cover: inpatient care I hospitals (such as critical access hospitals, inpatient rehabilitation facilities and long term care hospitals), Inpatient care in skilled nursing facility (no custodial care or long term care), hospice care services, home health care services, and inpatient care in Religious Non medical Health care Institutions. How Much does Medicare Plan A Cost? If you aren’t eligible for premium-free Part A, you may be able to buy Part A if you meet one of these conditions: You’re 65 or older, you’re entitled to (or enrolling in) Part B, and you meet the citizenship or residency requirements, or You’re under 65, disabled, and your premium-free Part A coverage ended because you returned to work. What is the downside to Medicare Plan A? The downside to Medicare Plan A is the fact that you are not 100% covered. Really, you are only 80% covered. So this means that you are responsible to pay that remaining 20% out of your own pocket. For some people, they think that 20% is not a high number. In fact, they even call 20% a low number. But, you need to keep in mind that as you age so does your body. This means that you become more vulnerable to sickness and surgeries. Sickness and especially surgeries can be very expensive. If you have to pay 20% of surgeries for: hip replacements, knee replacement, or various other surgeries, it could cost you a fortune. This is why most people decide to enroll with a Medicare Supplement Plan. With a Medicare Supplement Plan, also known as a Medigap Plan, you will be 100% covered! Medicare Part B provides beneficiaries with medical insurance coverage for procedures not covered by Part A, especially on an outpatient basis. Medicare Supplement Plan B includes: Doctor services, outpatient care, home health services, physician and nursing services, X-rays, laboratory, an other diagnostic tests, and even some preventive services. Plan B also provides senior citizens with medical equipment such as canes, walkers, wheelchairs, and mobility scooters. Other items such as prosthetic limbs and oxygen for home use are also covered under Part B. Medicare Part B coverage is optional and may be postponed by those who are still actively working. There is a 10% per year penalty charged to those who are not actively working and do not enroll in Part B. How Much Does Medicare Supplement Plan B Cost? You pay the Part B premium each month. Most people will pay the standard premium amount . However, if your modified adjusted gross income as reported on your IRS tax return from 2 years ago is above a certain amount, you may pay more. What is the downfall to Medicare Supplement Plan B? Like Medicare Plan A, the downside to Medicare Plan B is the fact that you are not 100% covered. Really, you are only 80% covered. So this means that you are responsible to pay that remaining 20% out of your own pocket. Some people may think that 20% is not a high number. In fact, they even call 20% a low number until they realize how high some of their medical bills may be. You have to remember that you are aging and every one ages differently. Many seniors will need to undergo surgeries. Surgeries like hip replacement surgeries and even knee replace surgeries. These surgeries are not cheap. So, 20% of a high dollar surgeries, like these surgeries mention above, could cost your a fortune. So, because Plan B does not provide 100% coverage, you may want to looking into a Medicare Supplement Plan where you will be 100% covered. Medicare Supplement Plans are offered by most top providers. All their plans will be the same, but the only different will be the price and service so it is important that you shop around! What is Medicare Advantage Plan C? Plan C (Medicare Advantage Plan) sometimes called “Part C” or “MA Plans,” are health plans offered by private companies approved by Medicare. Medicare Plan C was developed to provide eligible seniors with an secondary means of receiving their Part A, B, and D coverage. “Medicare + Choice”, or Plan C, allows Medicare beneficiaries the option of receiving their coverage through a private health insurance plan instead of through Part A, B, and D. Individuals who use Part C must have a private plan that meets or exceeds the standards of Medicare’s coverage. Medicare Advantage plans always cover emergency and urgent care. Medicare Advantage Plans must cover all the services that Original Medicare covers, except hospice care. (Original Medicare covers hospice care even if you’re in a Medicare Advantage Plan.) Medicare Advantage Plans may also offer extra coverage, such as vision, hearing, dental, and/or health and wellness programs. Most Plan C plans also include prescription drug plan (Plan D) as well. Medicare Advantage Plans have to follow the rules set by Medicare. Still, each plan can charge different out-of-pocket costs and have different rules for how you get services (like if you need a referral to see a specialist or if you have to go to only doctors, facilities, or suppliers that belong to the plan). What Are the different type of Medicare Advantage Plan C? Provider Sponsored Organizations (PSOs)– These are plans run by a provider or group o providers. In a PSO, you may get your health care from the providers who are a part of the plan. How much does Medicare Advantage Plan C cost? In addition to your part B premium, you are usually required to pay a monthly premium in order to have Medicare Advantage Plan C.
How to Join Medicare Advantage Plan C? So, you need to shop around. Once you find a potential plan, you need to contact the plan that you are interested in so you can get even more information about their benefits and costs. Once you find a plan that fits all of your insurance needs, you may be able to join by completing a paper applications, calling the plan, or by enrolling on the website. Remember, you must research and compare the different plans in your area so they you can find the very best plan for the very best price! What is Medicare Supplemental Insurance Plan D? Medicare Supplemental Insurance Plan D is is available to everyone with Medicare. To get Medicare drug coverage, you must join a Medicare drug plan. Plans vary in cost and drugs covered. Medicare Prescription Drug Plans– These plans are often referred to as ‘PDPs’. They basically add drug coverage to original medicare. Original Medicare is a combination of Medicare Plan A and Medicare Plan B (See above for more information on Original Medicare Plan A and Plan B). These plans also add drug coverage to some Medicare Costs Plans, some Medicare Private fee for services (PFFS) plans, and some Medicare Medical savings Account (MSA) plans. Who can enroll with Medicare Supplemental Insurance Plan D? If you are looking to join a Medicare prescription drug plan (Plan D), you must have Medicare Part A and or Medicare Part B. If you are looking to get a prescription drug coverage through a Medicare Advantage Plan, you have to have Part A and Part B. How to enroll with a Medicare Supplemental Insurance Plan D? Like we mentioned previously, you have to shop around before choosing Medicare supplemental insurance plan D. Why? Because many different companies offer the same plan for very different prices. So, if you are looking to save some money, it is imperative to do your research and shop around. Once you choose a Medicare drug plan, you may be able to join by completing a paper application, calling the plan, enrolling on the plan’s Web site, or through the MPDPF LINK. You can also enroll by calling 1-800-MEDICARE (1-800-633-4227). TTY users should call 1-877-486-2048. Did you know that Medicare Supplement Plan F is currently the most widely used policy available? This is largely due to the large amount of coverage that it offers. Plan F fills in all the gaps that are left by Medicare coverage on approved services and that is exactly why Plan F is considered to be the best Medicare Supplement plan out there! Plan F offers: Part A coinsurance, Part B co insurance or co payment, Part A deductible, Part B deductible, and 100 percent of the Part B excess charges. Basic Medigap coverage includes coinsurance for hospital days 61 through 150, all coinsurance and co-payments for Part B after the deductible is met, and the cost of up to 365 additional hospital days after Medicare benefits run out. Plan F also covers benefits like coinsurance for hospice services, skilled nursing facility treatment, hospice care, and foreign travel emergency insurance are all also covered benefits under Plan F.
You can also opt to enroll in a Plan F policy with a high deductible. With this option, you are required to compensate Medicare-approved charges until you meet the high deductible, when the policy will begin to pay. 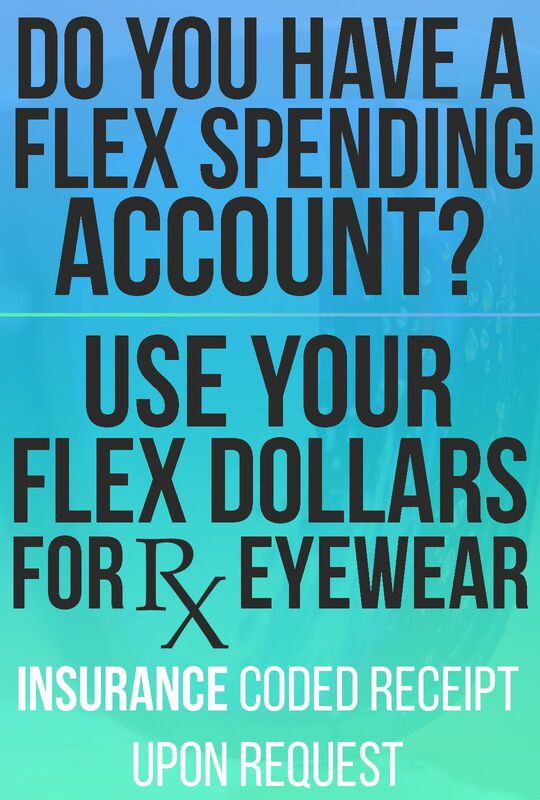 Plan F insures you for Medicare excess charges. What are excess charges? Excess charges result from the similarity between what a physician charges for services and what Medicare will compensate the physician for those services. The doctor can charge you up to 15% of the amount NOT covered by Medicare, but Plan F will cover the entire amount. This will not only protect you for high charges, but it will also save you tons of money! You can also enroll in a Plan F policy with a high deductible. Plan F will shelter you from higher payments that you must pay yourself if you need health services that are more expensive than what Medicare will pay. What Does Medicare Part F not cover? Plan F does not cover Preventative Care and the At Home Recovery Care because neither of these are services covered by Original Medicare. Actually, these two services were eliminated in 2010 from Medicare’s services due to a lack of use by consumers. So, if you are looking for any of these options mentioned above, you may want to call and speak with a local agent or representative. It can be challenging to determine which medicare supplement plan is right for you, and not all providers offer all of the Medicare Supplement Plans like we do. Our trained specialists can help you find the plan that best fits your insurance needs as well as your budget. Because we offer a variety of plans, we are confident that our trained specialists can help you shop around for the best insurance policy for the very best price. What is Medicare Supplemental Plan G? Medicare Supplement Plan G is a favorite Medigap plan for seniors because it covers most of the high-risk gaps not covered by Medicare, yet is inexpensive and affordable. What Does Medicare Supplementa Plan G Not Cover? While Plan G is fairly comprehensive and does a good job of eliminating risk, it does not cover your Part B deductible, and Part B excess charges are capped at 80 percent. If you don’t mind paying your Part B deductible and some potential Part B excess charges, then Plan G might be a good plan for you. Plan G used to offer home recovery coverage. However, changes in Medicare policies resulted in the elimination of this service in all supplemental plans. As replacement, hospice care is included in Plan G, as this coverage became a requirement for all Medigap plans in 2010. How to enroll In Medicare Supplemental Plan G? If you are looking to enroll in Medicare Supplement Plan G or if your need sound advice from a professional, you can contact our experiences specialists to get all of the advice and information you need at 1-877-531-5664. We will however, recommend that you do some research on your own and shop around for the best price. Because, many insurance carries offer the same exact price for many different prices. What is Medicare Supplemental Insurance Plan K? Medicare Supplement Plan K is one of the two somewhat unique Medigap plans available. While there are eight traditional plans that fill very specific gaps in traditional Medicare Medigap plan K and L take a slightly different approach. Instead of covering all of a specific gap it will only cover 50% of most of the gaps and then give you an out of pocket limit where once you reach the limit Medicare supplement plan K will cover 100% from that point on. Thus, it is a lot more affordable for seniors living on a budget, but still want great insurance coverage. How much does Medicare Supplemental Insurance Plan K Cost? The different between plan K and that various other plans is in the monthly premium alone. With a plan like this the insurance company takes on much less of the risk so they are able to offer much lower premiums. So if you are in a situation where you are healthy and have a sizeable nest egg to handle the $4,640 maximum then you can take advantage of the lower monthly premiums offered by Medicare supplement Plan K.
Is Medicare Supplemental Insurance Plan K right for you? The only way to know whether Medigap plan K or one of the other Medicare supplement insurance plans is right for you is to get shop around and get free medicare supplement quotes. We will be happy to provide you with a set of free medicare supplement quotes for Medicare supplement Plan K along with the other Medicare supplement insurance plans and answer any questions you may have. If you would like to speak with a local agent directly, feel free to give us a call at 1-877-531-5664. We are confidently that we will be able to find the best Medicare Supplemental Insurance plan for you! Medicare Supplement Plan L is a lot like Medicare Plan K. In exchange for somewhat lower premiums than what you might pay for a Plan F, if you enroll in a Medigap Plan L, the insurance carrier will pay 75% of your covered medical expenses on most items, and you will pay the other 25%. In addition to pay the remaining 25%, you also agree to pay the Medicare Part B deductible and any excess charges on your own. What is Medicare Supplement Plan L out of Pocket Maximum? With Plan L comes a cap on your expenses. This is known as your out-of-pocket limit or maximum. In 2012, the limit for plan L was $2,2330. So, if in any one calendar year your spending reaches $2,330 in Medicare-approved covered expenses, then the Medigap insurance carrier pays the rest. How to enroll with Medicare Supplement Plan L? You may know where to find Medicare Plan F because it is one of the most popular Medicare Supplement plans out there. Medicare Plan L however, is not. In fact, not as many carried offer Medicare Supplement Plan L.
We offer all 10 plans for very affordable prices. We have free quotes that are easy to get as well as local agents in all 50 states. If you are a ore over the phone person, we have professional agents that are available to assist you seven days a week! So if you are looking to enroll in Medicare Supplement Plan L or any other Medicare Supplement Plans, give us a call at 1-877-531-5664. Medicare Supplement Plan M is one of the new supplements created by the Medicare Modernization Act. It first hit the Medicare insurance market in the summer of 2010. Plan M provides the same primary benefits as other supplements, but it has a somewhat reduced monthly premium. However, you are required to pay half of your hospital deductible and all of your annual outpatient deductible. Who Should enroll in Medicare Supplement Plan M? Medicare Supplement Plan M could be a good fit for someone who does not anticipate to visit the hospital frequently and feels he/she can supply the occasional cost-sharing. However, it’s essential to have a licensed agent who specializes in Medicare supplements to evaluate the differences in premiums and to guarantee that you save enough to warrant the risk of your exposure to expenses. How to enroll in Medicare Supplement Plan M? Well, most people tend to stay clear from Medicare Supplement Plan M. Why? Because most people do not full understand that cost sharing that comes with the plan. So, because it is a feared plan, a lot of people do not enroll or every consider this plan. Therefore, many carries do not even carry Medicare Supplement Plan M. We however, do. So, if you would like to go over all of your options when choosing a medicare supplement plan, (including medicare supplement plan m), call us today at 1-877-531-5664. We will provide you with a professional agent and free quotes! Get started today! Medicare Supplement Plan N provides more coverage than Plans K and L while still maintaining a lower premium than Plans A through G. The only out-of-pocket expenses incurred (after the plan’s monthly premium) is a $20 copay for office visits and a $50 copay for ER. What Medicare Supplement Plan N doesn’t Cover? What Medicare Supplement Plan N (or Medigap Plan N) doesn’t cover are your deductible and Part B excess charges, neither does it pay for health care expenses associated with preventative care benefits. With its gaps and provisions, Plan N is similar to Medicare Supplement Plans D and M, although the former doesn’t cover expenses for medical attention while traveling out of the country. Enrolling in Medicare Supplement Plan N is simple. But if you are looking to save money, you should consider shopping around so that you can find the best price. After all, many insurance carriers offer the same plans for very different prices. If you find that Medicare Supplement Plan N is not the right plan for you, that is okay. There are tons of different plans for you. If you give us a call at 1-877-531-5664, I am confident that we can find you the best plan for the very best price. What is Mutual Of Omaha? Mutual Of Omaha, or United of Omaha, is an insurance company know for offering Medicare Supplemental Insurance. In fact, they have been a company since 1983. In addition to Medicare Supplement plans, they also offer life insurance. May people have a tendency to overlook the importance of having Mutual of Omaha Medicare Supplement Plans. However, many people are beginning to hear about Medicare Supplement plans because of the fact that they are not fully 100% covered with their original, or traditional, Medicare policies. This is important, because when you are turning 65, you have to make many choices like, what type of Medicare insurance to enroll with. Most people are automatically enrolled with original Medicare upon turning 65 years old. But those are not your only options! You can enroll with Mutual of Omaha (sometimes referred as United of Omaha) Medicare Supplement plan where you will be 100% covered. This is great because many people who are turning 65 will find it difficult to enroll with an insurance plan that cover all their medical needs. Medicare supplement insurance helps seniors cut the cost of their medical expenses that are not covered by their Medicare plans A and B. Typically, Medicare plan A will only pay for in-patient hospital services, home health care, skilled nursing facilities after hospital stays and hospice care. Medicare plan B will only cover outpatient hospital treatments, medical expenses and preventive health services. Paying for medical fees not covered by these plans can be a problem for many seniors. Fortunately, Medicare supplement insurance can handle it all. Mutual of Omaha, sometimes called United of Omaha, offers Medigap Insurance that has a lot of advantages for people over the age of 65. For example, Medigap insuranc can help seniors pay for deductibles, co payments and coinsurance costs when they need to visit their doctors. Medigap insurance can also allow policy holders to keep going to the doctors and hospitals that they prefer. Lastly, Medigap insurance also allows policy holders to choose their own health care providers and specialists. All that they have to pay a small amount for the monthly premiums, but they can ensure full coverage for all of their medical needs. So you must ask yourself if paying a low monthly premium for Medigap insurance will be worth being 100% covered. For most of us, the answer is YES! What is new and important in the year 2013? As you need, Medicare can change at any time come new year. This is why it is essential to keep up with new rules and regulations as they come each year. Why? Because with these new changes, you may decide to choose a different plan! Already in the year 2013, you can expect a few changes. In the year 2013, you will see that there are more covered preventative services! Medicare will now cover depression screenings, screening and counseling for alcohol misuse and obesity, behavioral therapy for cardiovascular disease, and even more! You can also expect even more help in the prescription drug coverage gap. For example, if you reach your coverage gap (this is ofter referred as the donut hole) in your prescription drug coverage plan, or your part D plan, you will only be required to pay 47.5% for covered brand name drugs and 79% for generic drugs. Alcohol misuse and counseling: Started 2013 and if you are enrolled with Medicare, Medicare will over one alcohol misuse screening per year. This even includes pregnant women. This service is for adults who use alcohol, but do not meet the medical criteria for alcohol dependency. Once your primary care doctor determines that you are misusing alcohol, you can get up to 4 face to face counseling sessions per year. However, you must be alert during these sessions. Also, a doctor or primary care practitioner must provide the counseling in a primary care setting like a doctor’s office. You will not have to pay anything if the qualified primary doctor or practitioner agrees and is willing to do the counseling. Cardiovascular Disease ( Behavioral therapy): In 2013 and if you are enrolled with Medicare insurance, Medicare will cover one visit per year with your primary care doctor in hopes of lowing your risk for cardiovascular disease. This visit however, must take place in primary care setting, like a doctor’s office. During this visit you can expect to get your blood pressure checked, and have your doctor give you tips to make sure you are eating healthy. You will not have to pay anything if your doctor of other qualified health care provider agrees to the the Cardiovascular Disease Behavioral Therapy. Depressing Screening: In 2013 and if you are currently enrolled with Medicare insurance, Medicare will cover one depression screening per year. However, the screening has to take place in a primary care setting like a doctors office or other setting like a doctors office that is able to provide follow up treatment and referrals. You will not have to pay anything for this test if your doctor agrees to do the depression screening, but you may have to pay 20% of the Medicare approved amount for the doctor’s visit. Obesity screening and counseling: In 2013 and if you are currently enrolled with Medicare insurance, Medicare will cover intensive counseling to help you lose weight if you have a body mass index (BMI) of 30 or more. This counseling may be covered if you receive the counseling in a primary care seeing, like a doctor’s office, where it can be coordinated with your personalized prevention plan. You will not have to pay anything for this service if your primary care doctors agrees to to the obesity screening and counseling. Don’t forget, like we mentioned previously, that is is important to keep up and understand that new changes to Medicare year to year. Why? Because maybe a change in a plan will change your mind about a plan that you are currently enrolled with. So do your research on all of the plans that are available to you and keep up with all of the changes! This way you can find the best plan that will fit all of your insurance ‘needs’ and ‘wants’. If you are looking for free Medicare Rates and Medicare quotes, give us a call today toll free at 1-877-531-5664 or 1-800-633-4427. We have professional agents available 7 days a week! Our agents are able to work with you and provide you with the best plan that you have been searching for. How? Because we will compare all all of the plans out there and show you your options! Once we give you our professional advice, you can choose what ever plan that fits all of your insurance needs! So, call us today at 1-877-531-5664. Get Medicare Supplement Plans ,rates, product overviews and downloads customized for your area. Reveiw all the information available prior to purchasing a plan.